Businesses small and large process a lot of paperwork, and the best way to store it is to file it in a way that is easily accessed when needed. 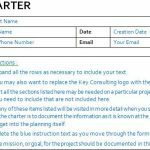 The Avery 10 Tab Template helps you do this by separating sections within binders so it’s easy to organize customer information or your latest project, and you can download it for free here. 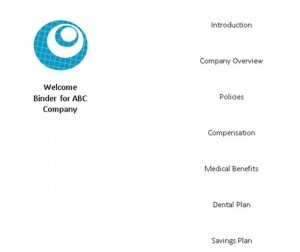 The Avery 10 Tab Template works with Avery’s Ready Index dividers and table of contents, which use a color-coordinated system. Unlike planners and organizers with pre-printed dividers, you can simply use the Avery 10 Tab Template to create new tabs when your needs change, without tossing the entire book. In fact, you can download replacement table of contents pages directly from this page for free. The template simply consists of ten section dividers. Step 1: Starting from the top, add a short description for each section. Step 2: Move your way down to add the next section title. Step 3: Repeat this process for the remaining tabs. The left side of the table of contents page remains blank, and you can use the template to add the project title. Alternatively, you may hand-write or stamp important information on the space to create a title page for your binder. Each tab takes up approximately half of the page and contains a single line so format your descriptions or titles accordingly. Avery has other dividers and table of content options if you require more than 10 sections or require more space for your descriptions. Avery also manufacturers binder spine labels to help separate the binders on your bookshelves. For larger projects and binders, use multiple sets of Avery dividers. Place a new table of contents where each section begins. 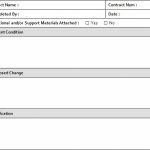 Save your table of content template that you downloaded so that so you can make changes in the future without starting from scratch. 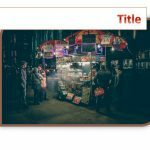 If your sections change, you can manually white-out the title on the table of contents or simply print a new table of contents to replace it.